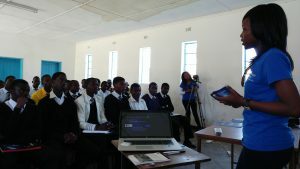 Patience gives her presentation at Macheke High School. 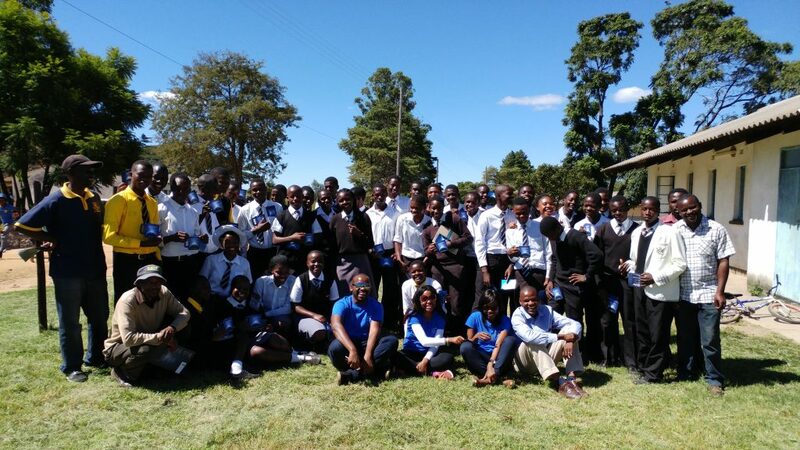 Grantham Scholars have been in Zimbabwe to teach schoolchildren about the importance of sustainable living. 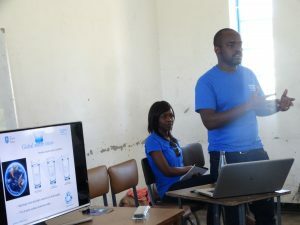 Second year PhD students Tinashe Mawodza and Patience Muchada led a session for 40 science and geography students at Macheke High School. The pair introduced the class to the work of the Grantham Centre, before explaining their own research projects and how their work can help to create a more sustainable world. Patience Muchada and Tinashe Mawodza. After giving some context on the global water crisis, Tinashe explained how crops can be modified to become more resilient to drought, and his own research into the effects these modifications have on root development and soil structure. Patience’s talk was on challenges in the chicken supply chain, and how she is working on ways to bring together data about each step of the process, so that food can be produced in a safer and more sustainable way. They were joined at the event by Rumbidzai Audrey Mashavave who recently graduated with a Masters in Public Health in International Development from the University of Sheffield’s Department of Geography. The event was organised by Tinashe and Patience as complete the Grantham Scholars Training Programme, which is designed to give sustainability PhD researchers the skills to talk about their research with non-experts.